The Milwaukee Bucks continue to push the pace in their games, ranking fifth in the NBA in pace this season. They get a matchup against the Orlando Magic, who only rank 26th in the league in pace through 55 games. Milwaukee also ranks third in the NBA in offensive rating, while Orlando ranks 15th in the league in defensive rating. The Bucks are -7.5 point favorites in a game set at 220 points, giving them an implied total of 113.8 points on this slate. Giannis Antetokounmpo has already been ruled out for this game, while Nikola Mirotic is currently doubtful. That will open up plenty of minutes and usage for the remainder of the rotation. Ersan Ilyasova has found plenty of success in limited minutes this season, averaging 6.2 points and 4.4 rebounds (14.8 DK points) in 17.2 minutes per game. He’ll likely draw the start tonight, and he’s expected to find minutes in the mid- to high-20s tonight. 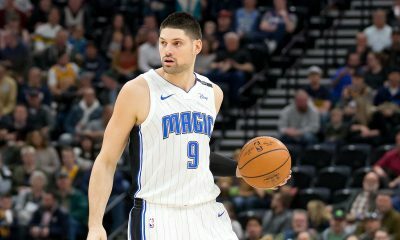 Ilyasova is averaging 16.6 DK points in 20.1 minutes per game against Orlando this season, and there’s a chance he could be the highest owned player on the slate. Khris Middleton is expected to return to action tonight, and he has found some success recently. Over the last 10 days, he’s averaging 16.2 points, 5.8 rebounds, and 4.8 assists (31.5 DK points) in 30.1 minutes per game. He’ll likely see minutes in the mid-30s without Antetokounmpo in the lineup. He’ll also see his usage rating increase to over 25%. Middleton is averaging 1.06 DK points per game against Orlando this season, and he’ll be a bigger part of the offense with bigger minutes in this game. Eric Bledsoe is another player that will see an increase in usage rating on this slate. 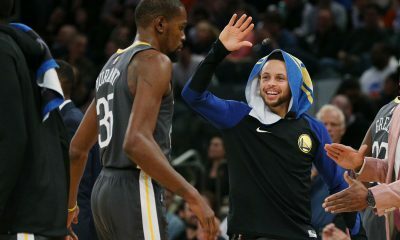 He has caught fire recently, averaging 17.8 points, 5.0 rebounds, 6.8 assists, and 2.6 steals (41.3 DK points) in only 28.3 minutes per game over the last 10 days. 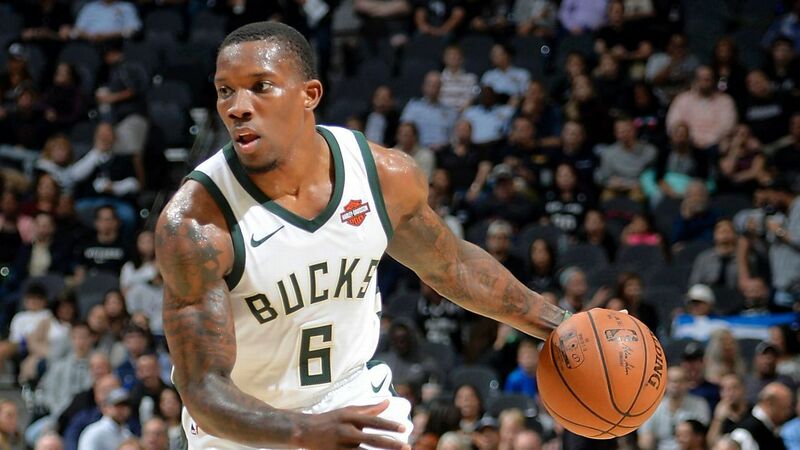 In two matchups against Orlando, Bledsoe is averaging 31.4 DK points in 26.6 minutes per game. Similarly to Middleton, he should see 30+ minutes in this contest. Each of these players will feature plenty of ownership tonight, and it’s difficult to avoid this stack in cash games. The Boston Celtics have been slowing the pace down a bit throughout the season, as they only rank 18th in the NBA in pace thus far. They get a plus matchup against the Los Angeles Clippers, who currently rank ninth in the league in pace. Boston has found plenty of offensive success this season, though, ranking ninth in the NBA in offensive rating. Los Angeles, on the other hand, only ranks 20th in the league in defensive rating. The Celtics are -11.5 point favorites in a game set at 228.5 points, and they feature the highest implied total on the slate at 120 points. Kyrie Irving continues to dominate while on the court, and he’s averaging 25.7 points, 7.0 rebounds, 8.3 assists, and 1.0 steal (49.6 DK points) in 36.0 minutes per game over the last 10 days. Over his last eight games, Irving is averaging 56.2 DK points per game. He has scored 60+ DK points in four of his last eight games, but his price tag doesn’t represent that. He’s also averaging 1.46 DK points per minute at home, as opposed to 1.3 DK points per minute on the road. Al Horford is seeing surprisingly limited minutes recently, but he has performed well while on the court. Over the last 10 days, Horford is averaging 13.2 points, 6.2 rebounds, 5.6 assists, 1.6 blocks, and 1.2 steals (34.6 DK points) in 27.2 minutes per game over the last 10 days. He’s expected to see around 30 minutes tonight, and Horford comes with 40+ DK points upside when given that time. 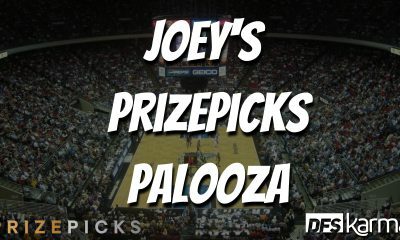 He recently went of a stretch of three games, scoring 49.75, 48.75, and 44.5 DK points. Similarly to Irving, Horford is averaging 1.21 DK points per minute at home, as opposed to only 1.0 DK point per minute on the road. Gordon Hayward owns a low price tag because of his inconsistent production, but he comes with tremendous upside. He’s averaging 10.2 points, 4.6 rebounds, and 3.4 assists (24.0 DK points) in 24.6 minutes per game over his last five games. He has also flashed plenty of success recently, scoring 36 DK points only two games ago. Hayward adds a bit of risk to this play, but also adds quite a bit of upside for a low price tag. The Washington Wizards are another team that has been pushing the pace throughout the 2018 season, ranking eighth in the NBA in pace through 55 games. They get a matchup against the Chicago Bulls, who rank only 22nd in the league in pace this season. With that being said, Chicago also ranks 23rd in the NBA in defensive rating, while Washington ranks 16th in the league in offensive rating. The Wizards are -2.5 point favorites in a game set at 225.5 points, and they owns an implied total of 114 points tonight. Bobby Portis is going to garner some ownership tonight, but it would be unwise to avoid him tonight. He has stated multiple times that he doesn’t like the Bulls organization anymore, and this is a revenge game for him tonight. He played 27 minutes in his first game with Washington, scoring 43.5 DK points. He’ll step into a major offensive role, and he comes with more rebounding potential than he flashed in that game. He could see 30+ minutes tonight, and he makes an elite option on this slate. Trevor Ariza is a relatively consistent option, who comes with solid upside, as well. Over the last 10 days, he’s averaging 13.5 points, 3.8 rebounds, 4.0 assists, and 1.5 steals (27.7 DK points) in 33.2 minutes per game over the last 10 days. He has scored 23+ DK points in nine of his last 10 games, including three games with 40+ DK points. He struggled in his only matchup against Chicago earlier this season, but Ariza will be locked into big minutes tonight. He adds both consistency and upside to this stack for a reasonable price tag. Tomas Satoransky makes sense to fill out this stack, but I’m siding with Jeff Green. He has been playing at an extremely high level recently, but his price tag is still relatively low. Over the last 10 days, he’s averaging 19.2 points, 4.7 rebounds, 3.3 assists, and 1.2 blocks (33.2 DK points) in 31.2 minutes per game over the last 10 days. He has scored 30+ DK points in each of his last five games, including two games with 40+ DK points. He struggled from the field in his only matchup against Chicago this season, but still scored 25.25 DK points in that game. These player come with quite a bit of risk, but they also comes with tremendous upside for reasonable price tags. Batum has seen plenty of ups and downs throughout the season, but he has been playing at a higher level recently. He’s averaging 11.8 points, 5.0 rebounds, 3.0 assists, 1.0 block, and 1.4 steals (27.6 DK points) in 33.4 minutes per game over the last 10 days. He has also scored 28+ DK points in three of his last four contests, although his price tag has not changed. Batum is expected to continue to play minutes in the mid-30s in this game tonight. He gets a plus matchup against the Atlanta Hawks, who he has found success against this season. Through three matchups, Batum is averaging 12.3 points, 5.0 rebounds, and 4.0 assists (25.4 DK points) in 31.0 minutes per game against Atlanta. He’ll have extra opportunities for peripheral stats in this game, and he makes a solid option in all leagues, although he is better suited for tournaments. I have already outlined Ilyasova above, so I won’t go into too much detail here. He’s expected to play minutes in the mid-20s with Giannis Antetokounmpo injured, and he could see a decent size role in the offense. Ilyasova is averaging 0.86 DK points per minute on the season, and he gets a plus matchup against the Orlando Magic. There’s no reason to avoid him on this slate.